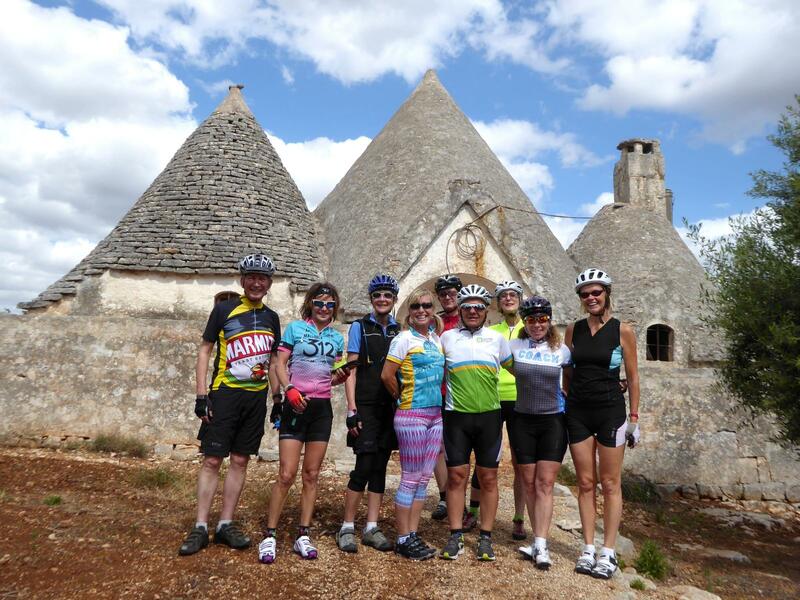 Expect a rewarding ride every day – and along with the ride you’ll experience the ‘real Italy’, with intimate insights into southern Italian life every day. 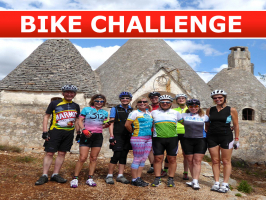 We’ll cycle through areas and villages which, not without reason, have been nominated ‘World Heritage’ by UNESCO, like the wonderful towns of Alberobello and Matera. 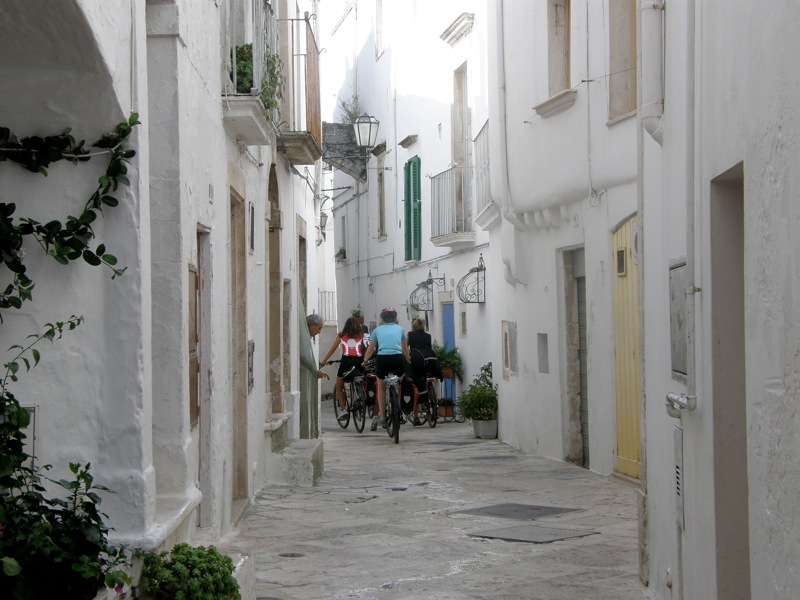 The tour starts in Puglia, the south-eastern part of the Italian peninsula. 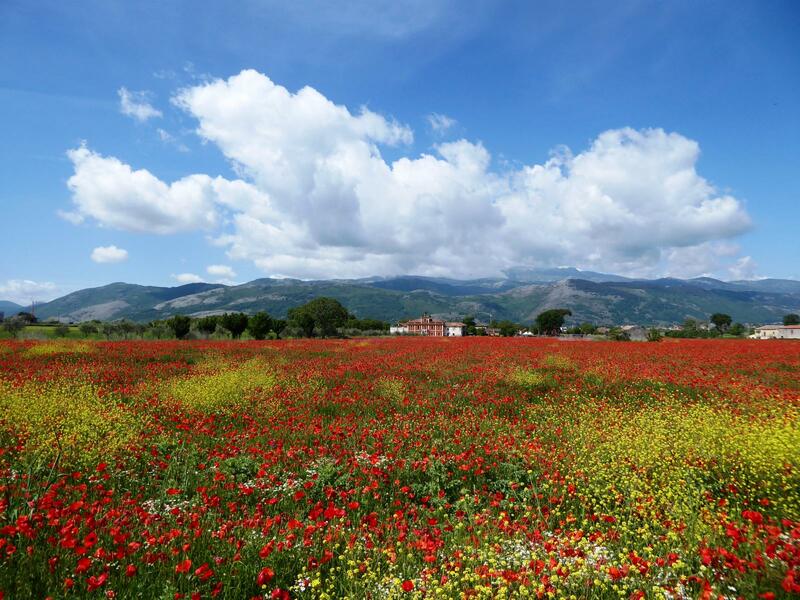 Mostly of its territory is flat, which makes it the less mountainous region of Italy. Our hotel is a historical palace in the heart of beautiful Monopoli, a . Much of the region’s interior is covered by olive groves, interspersed with orchards and other crops. If you have only seen small olive groves before, the endless ‘forests’ of olive trees come as a surprising sight. Although the area is dry with low rainfall, the people here like to grow large quantities of fruit and vegetables, and their cuisine is rich in local products like beans, chicory and broccoli. 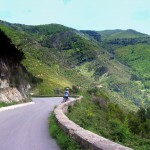 On our second day we’ll cycle in western direction towards perhaps Italy’s least known region, the Basilicata. Here you can feast your eyes on the vast cultivated fields, natural preserves, strange rock formations, and tiny ancient towns. Our first accommodation here is in Matera, the city of stone, one of Italy’s most intriguing cities, partly built underground. 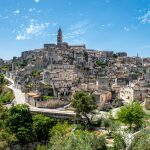 A stay in Matera is a unique experience, reason why we’ll stay two nights! Do not forget to go for an after dinner stroll, when the city looks like a mysterious Christmas crèche. 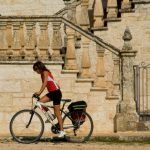 In Matera you’ll need the time to visit, but you can also make a great ride through the intriguing landscape of the ‘Murge’, the canyons of southern Italy. The next day, leaving Matera, we head South-East for a full immersion in the ‘Deep South’. 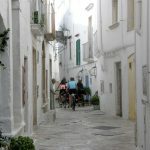 First we’ll pass at the small town of Pisticci. Then we cycle on towards the abandoned town of Craco, once an important town and monastic centre, now a complete ghost town. We’ll stay for the night in the small town of Aliano, one of the most interesting villages of the area. 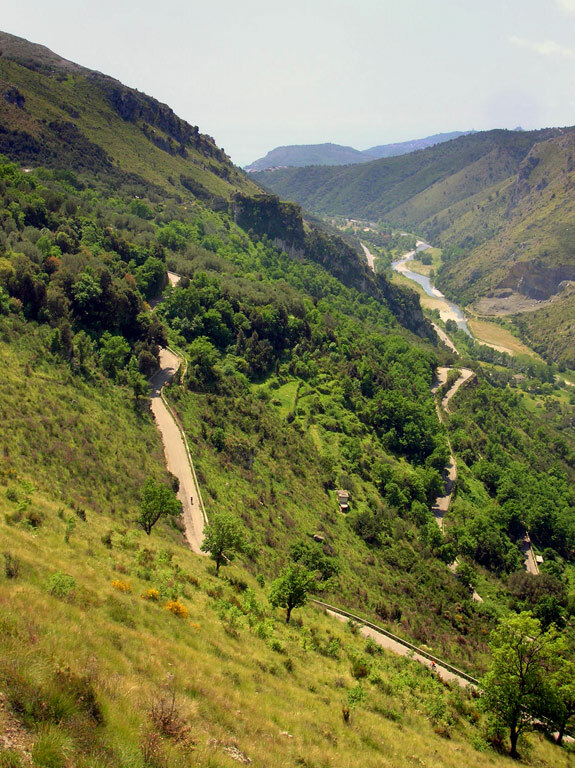 From here on the tour becomes more challenging, as we start our journey through the Central Apennines, which we’ll have to cross to end on the Tyrrhenian coast. 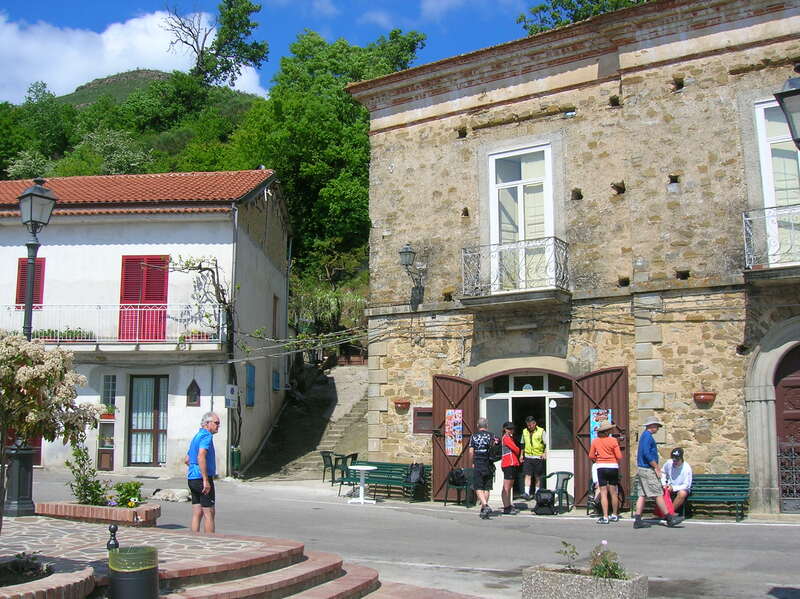 We’ll make a great ride in the shadow of the Pollino mountains and overnight in the nice village of Rotonda. Then we continue towards the coast at Maratea, but first we’ll climb to the top of Mount San Biagio, with the Statue of the Christ of Maratea, a 22-meter high statue overlooking the entire stretch of coastline. 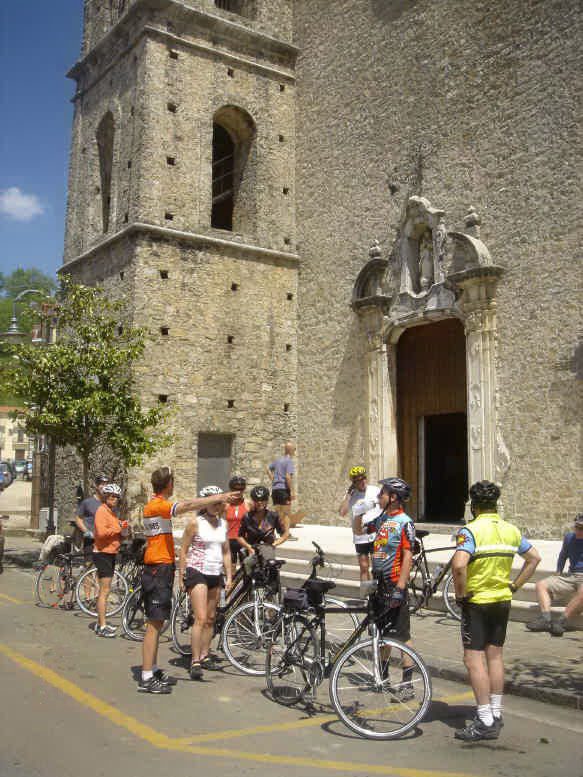 The last day is a great day of superb cycling, along the beautiful coastal road from Maratea into the southern part of Campania – a fitting end to this Southern Italy Biking Adventure. And of course you’ll have the occasion to dive into the blue waters of the Mediterranean! 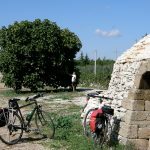 On this amazing cycling adventure you will see for yourself that not only has the Amalfi Coast become, with good reason, Italy’s most famous coastline, and that Puglia’s rising star is well-earned, but also discover an entirely new and little-known, but equally beautiful part of Italy: Basilicata and the Cilento National Park. 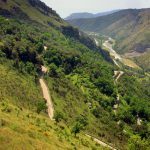 As cyclists to this undiscovered region of Italy, you’ll enjoy all the above and more – on some of the quietest roads that Italy has to offer. 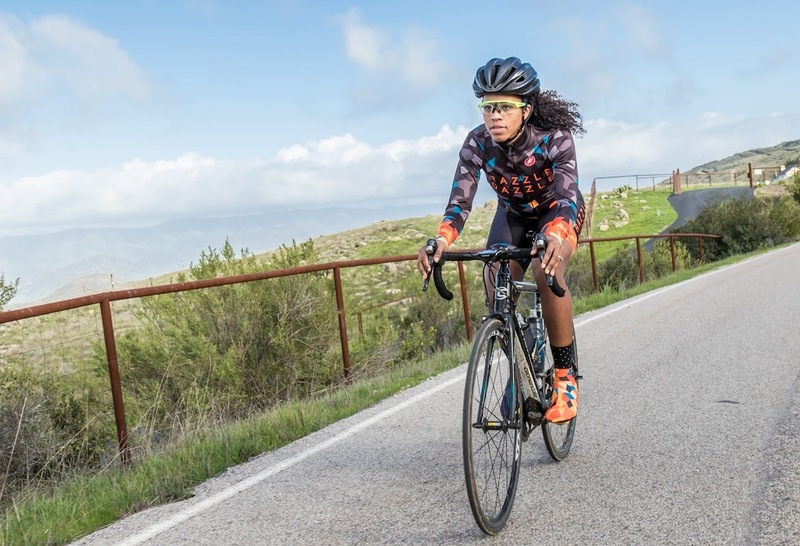 Please note: this is a moderate tour for which experience with road cycling and a good general physical condition are necessary to make your travel experience enjoyable. Average cycling times: approx. 5-6 hours each day. Arrival in Bari and transfer to our beautiful hotel in the historical heart of Monopoli, a stunning whitewashed seaside village. After settling in our rooms we’ll have a light dinner and those who want can go for a stroll through the old town. In case we arrive early we can already start to check our bicycles, do a briefing, and start with a flat ride along the coast. Today we start with a flat ride along the coast. 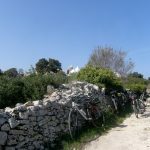 Then we turn inland, and tackle a few ascents, heading for beautiful Alberobello, a UNESCO world heritage site, in the heart of the Itria Valley, a karstic depression filled with thousands of olive trees and many so-called ‘trulli’, odd cone shaped white washed buildings. A first ‘warm-up climb’ brings us onto the large rolling plateau, where we will be cycling through fields of fennel and ancient stands of olive trees. 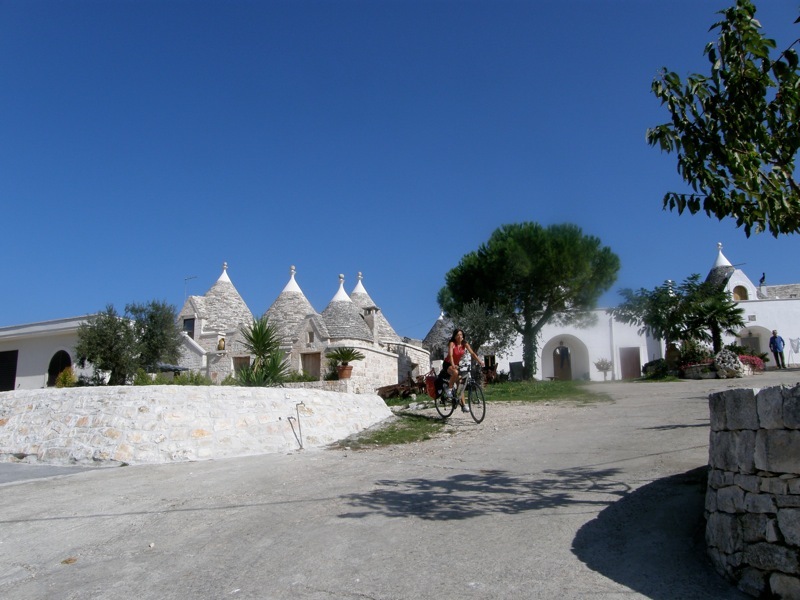 Now we are really entering in the heart of the ‘Land of Trulli’, the concentration of these curious buildings becomes higher and higher, culminating in Alberobello, the capital town of the Trulli, where there even is a church in this shape. 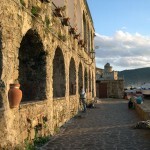 We’ll take our time for a coffee and a short stroll here, before cycling on to beautiful Noci and then Gioia del Colle. The last part of the route goes through open fields, en route to the amazing city of Matera, one of the most extraordinary spots on Earth. Matera, on UNESCO’s official World Heritage List, is famous for its so-called ‘Sassi’ (which literally means ‘stones’) style of housing. These cave dwellings were carved out of the stone sides of the cliffs and tell of a time when there were few options for the poor citizens of the region. Most caves were inhabited until last century. 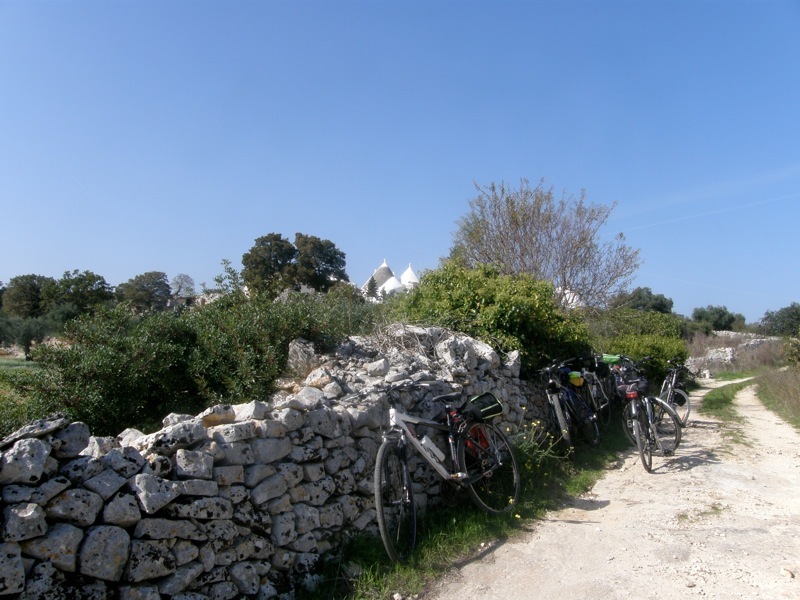 We ride the last few through this amazing scenery of small streets and squares, caves, rock churches and cellars, to our centrally located hotel in Matera, right in the heart of the ‘Sassi’. After settling in at your hotel you have some free time to wander around or have an ‘aperitivo’ in one of the beautiful squares. Then we gather together for a great evening meal, in one of the prettiest restaurants in town. But the best has yet to come: the evening walk through the Sassi is simply stunning! Today we make a beautiful roundtrip from Matera, to explore its surroundings, a large plateau, divided by several canyons, in which many cave dwellings and cave churches can be found. 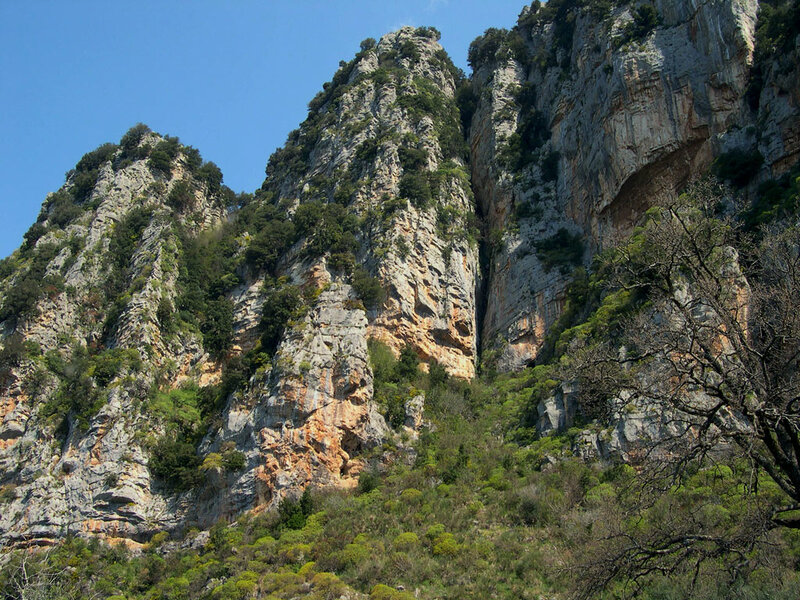 For this reason the area is now a protected area known as the ‘Park of the Cave Churches’. We first cycle in southern direction. You will ride through rolling hills, skirting the Park of Rock Churches, an amazing landscape, a veritable natural wonder – a series of ravines created by the erosive powers of rainwater. 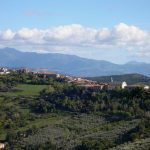 Already from far away you will notice the beautiful hilltop town of Montescaglioso, home of a powerful and prestigious abbey which once controlled a huge swath of surrounding land. The major climb into Montescaglioso is worth it for the opportunity to visit this enchanting little village where time seems to have stopped. Here we’ll have a short biscuit stop and a look around – a visit to the Benedictine Abbey is a must! 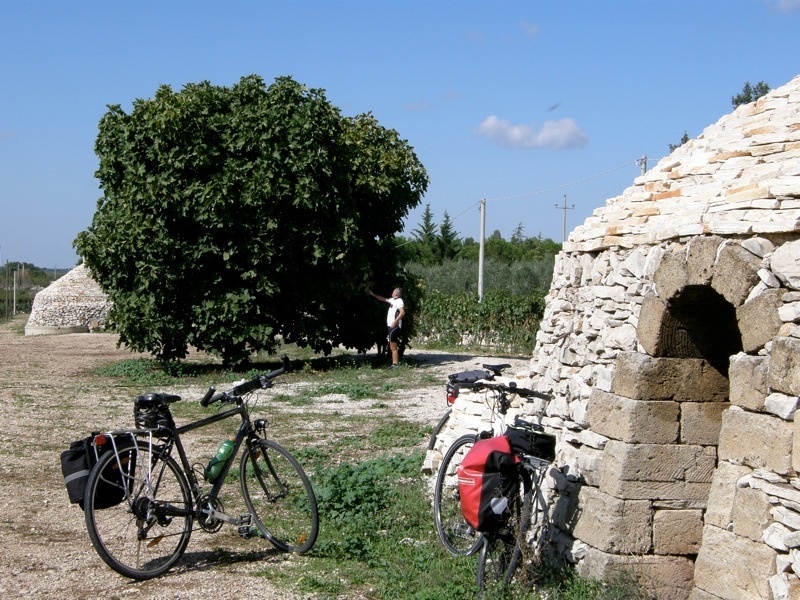 Then we will get on our bikes again and swing through the small village of Ginosa – a smaller version of Matera with a very similar cave dwelling quarter. 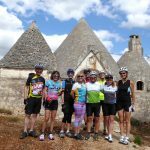 Then we pedal all together on to our lunch spot: Laterza – where we visit a local bakery to sample the famous ‘Pane di Laterza’. After lunch we head back to Matera, but not without a stop on the plateau at the opposite side of Matera’s canyon. From the Belvedere here we have some stunning views on the city, which is only a short stretch away. After a drink we ride the last few kilometers back to our hotel in Matera, right in the heart of the ‘Sassi’. Now you are free to relax and have time to explore. 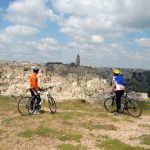 This will be our the shortest ride of all the tour because we want to be sure to have enough time to wonder around the old city of Matera on your own. You are free to choose from the wide selection of restaurants and pizzerias to for your evening meal tonight. There are many typical restaurants, only a short stroll from our hotel. Today our ride will be over 62 miles (100 km). We start with an easy downhill section through the fields, towards the hilltop town of Bernalda, a charming village, where the origins of Francis Ford Coppola lay (he recently opened a beautiful hotel here). After the climb to the centre we deserve a short rest and a drink, after which we spin down into the valley of the Basento River. Past the white village of Pisticci, we then continue to Craco , an abandoned medieval village set in a stunning location. The settlement occupies a rock formation above the surrounding hills with its architecture neatly built into the landscape. Perched strategically on top of a 400 meter (1,300 ft) high cliff, overlooking, this ghost town provides panoramic views of the arid countryside of southern Italy. Our final destination for today is Aliano, in the middle of the moonlike landscape of the ‘calanchi’, strange clay hills. On top of one of these hills, in an awesome position, Aliano, during the Fascist Regime, was used as detention zone for the Regime’s dissidents. The writer/painter Carlo Levi, known for his book ‘Christ stopped at Eboli’ spent many years here. 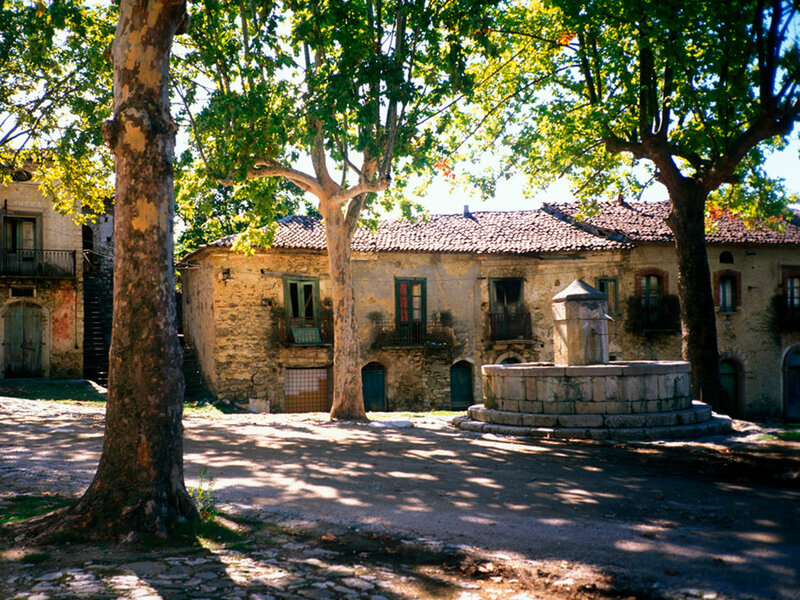 Perhaps you still have the energy to visit his museum and go for a stroll around the village. In the evening, you eat at a great local restaurant. 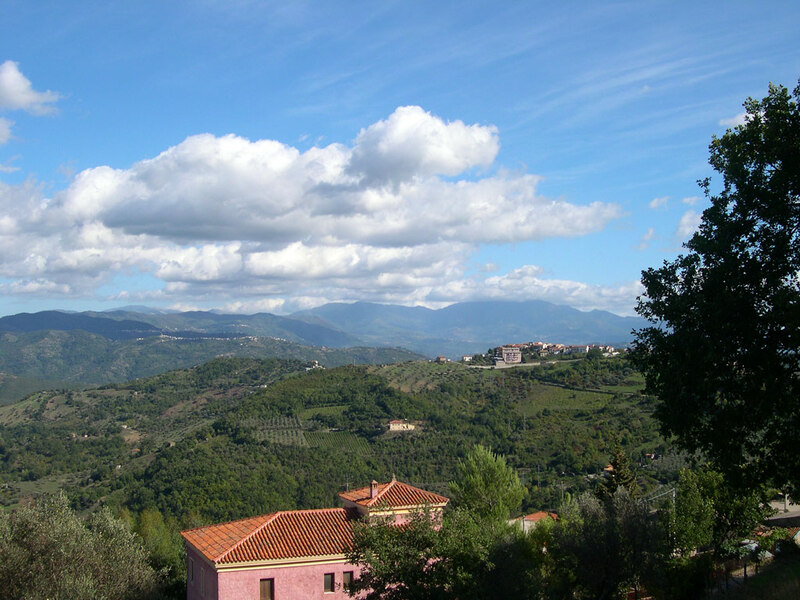 Today we head down for the Tyrrhenian Sea, but first we’ll tackle a few minor climbs, to reach the village of Mormanno. From here it is one amazing ride down to the sea, perhaps the most scenic ride of the entire region. 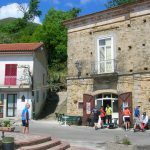 Following the canyon of the River Lao we’ll arrive in the charming village of Papasidero, a good spot for a coffee break. Then we continue along the river Lao, and we’ll reach the beautifully located village of San Domenico Talao. 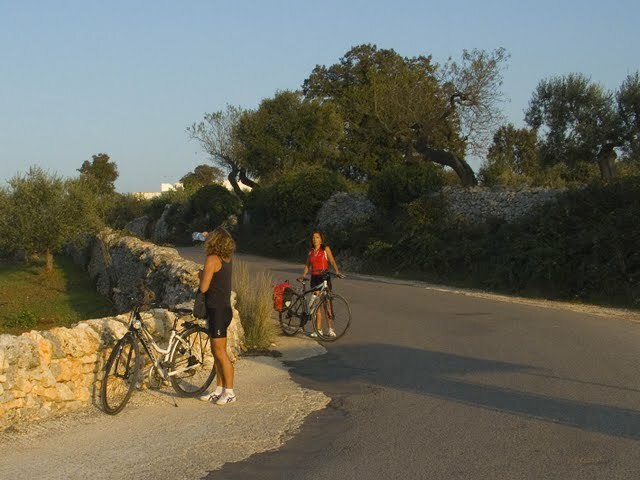 From here we can opt to cycle down to the seaside resort of Scalea, or in alternative ride directly to the charming village of San Nicola. A winding road will bring us down to the seashore here, in front of the island of Dino. We’ll have lunch on the beach and those who want can go for a swim. 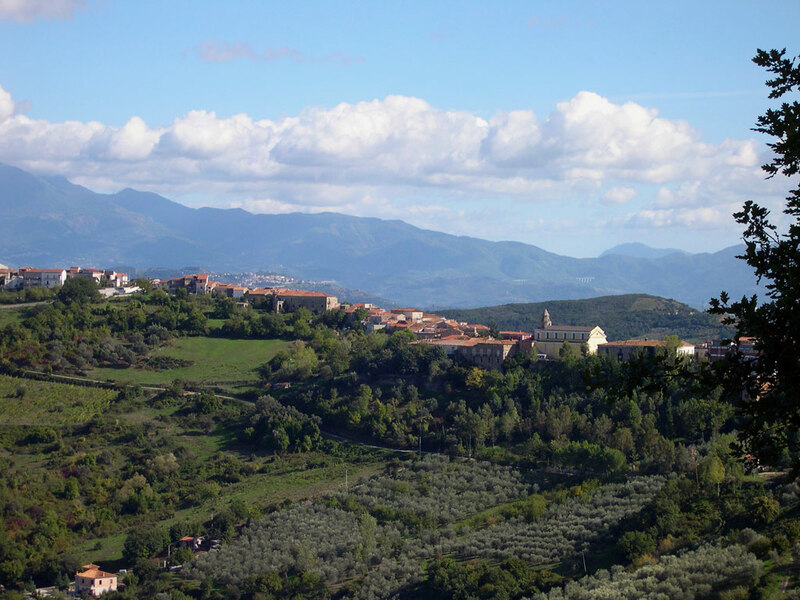 We then continue in northern direction and cross the border between Calabria and Basilicata. 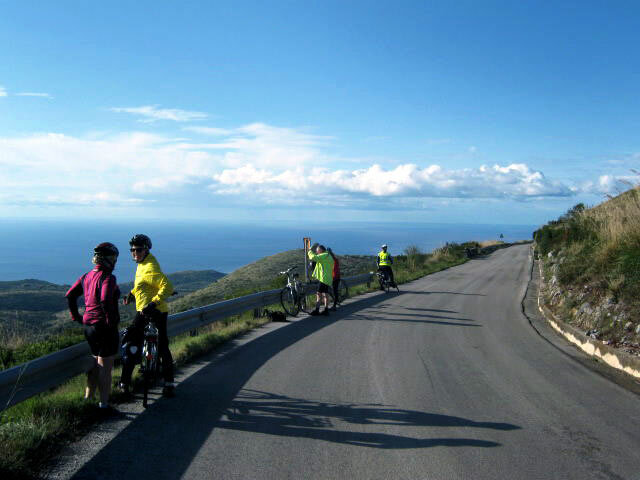 We cycle along the stunning coastal road in the direction of beautiful Maratea, our final destination for today. The ride will end in the heart of the charming old town, where we’ll stay in a beautifully restored old convent. Those who want can make a last effort and ride up to the Statue of the Christ of Maratea, second only to the Christ of Corcovado in Rio de Janeiro, situated on Mt. San Biagio, at 600 m above sea level. This is arguably the most scenic spot of the whole region, with an exceptional 360° view of the coast and inland mountains. At night we’ll have dinner on the premises of the hotel. Today we continue to follow the coast of the Tyrrhenian Sea in northern direction, cycling across the border, into Campania along a beautiful road high above the cliffs of the rocky coastline. At Sapri, the first village of Campania, the coast becomes flatter and those who want an easy day can opt to follow the coast for another 10 km. 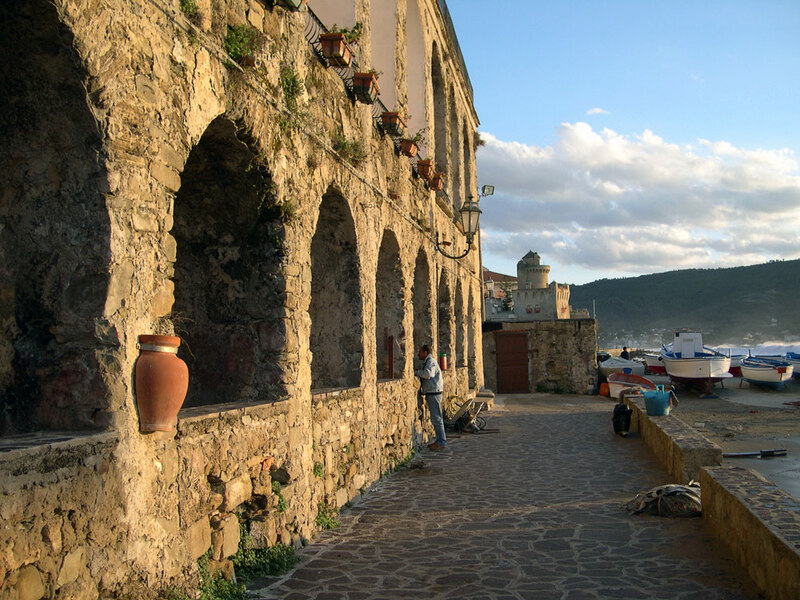 to reach charming Scario, our destination for tonight. 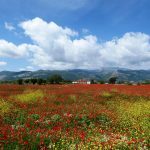 But it is worth it to discover part of the area immediately inland from Sapri, among the most scenic, authentic areas of southern Italy. 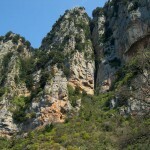 We’ll cycle up to the village of Torraca, and then on to Tortorella, towering high above two beautiful canyons. A few kilometres further we’ll arrive in Casaletto Spartano, which boasts one of the most beautiful waterfalls of the area, locally known as the ‘Capelli di Venere’ (Venus hair). At lunch time we arrive in Morigerati, where we can have a great lunch in the town square. 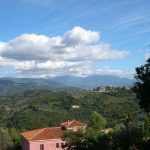 After lunch we continue through the rolling hills for another while, but then end the day with a great descend towards the Gulf of Policastro. We end our trip in beautiful Scario. Accommodation is mainly on a half-board basis (depending on your choice of hotels – see inclusions) in good 3-star hotels and comfortable agriturismo’s (comparable to a 3-star hotel). All rooms have en-suite facilities. On the evenings that you will be free to organise your dinner, you have a wide choice of restaurants in the area. 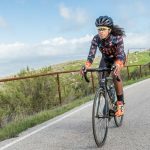 Moderate to hard (3/4): Moderate rides (to road cycling standards) with inevitably several climbs, some of which can be quite long and strenuous. All roads are well paved and mostly quiet with little traffic except for some stretches near Paestum. Extensions or shortcuts are possible on most days. Arrival: The tour starts in MONOPOLI; a pick-up service (included) will be arranged from the train station, which can easily be reached from Bari, the nearest city with an international airport. Departure: The tour ends in SCARIO/SAN GIOVANNI A PIRO after breakfast. A short transfer brings you to the train station (included), from where you travel on to your next destination (Naples, Salerno or Rome can all be easily reached). Several taxi services are available to bring you directly to your next destination. 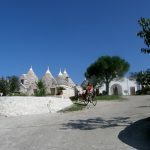 This tour is only an example of a possible ‘Coast-to-Coast’ bike route from Puglia to Campania. 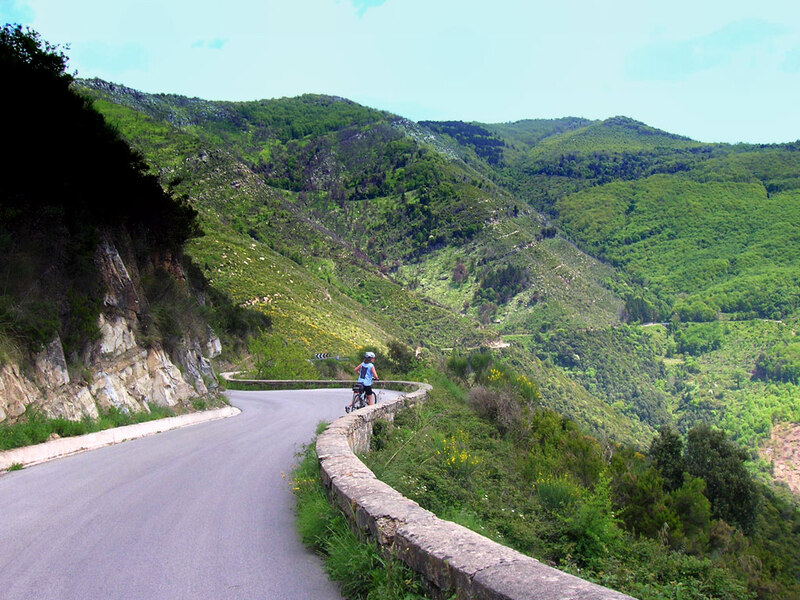 It is possible to make a longer loop through the Basilicata, spend more time in the Cilento National Park, which offers infinite possibilities for some great bike challenges (we strongly recommend to extend the tour with a few days (cycling) along the stunning Cilento Coastline). 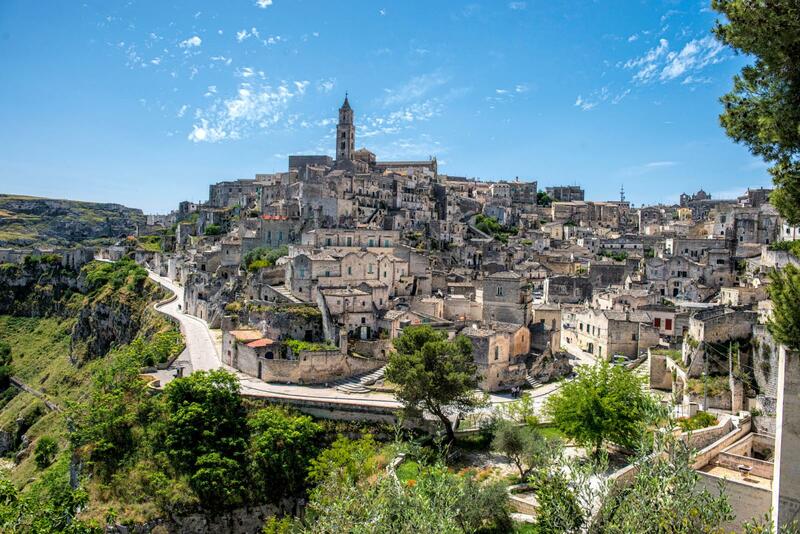 And of course you can book extra nights in beautiful places, such as Matera. 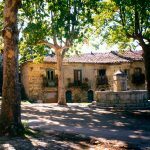 This tour can be used as a framework to create a personalised ‘bespoke‘ tour, longer or shorter, or with fewer different accomodations. Details and prices on request.